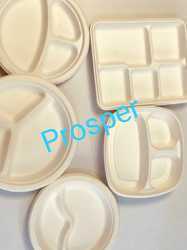 Offering you a complete choice of products which include biodegradable sugarcane bagasse 5 compartment plate, biodegradable sugarcane bagasse bowl, biodegradable sugarcane bagasse container, biodegradable sugarcane bagasse plates, biodegradable sugarcane bagasse round plate and biodegradable sugarcane 10" plates. 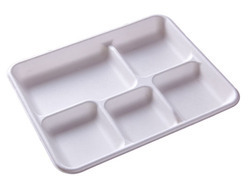 Opaque Design - DURABLE degradable trays are made from Eco Friendly and renewable Sugarcane Bagasse. 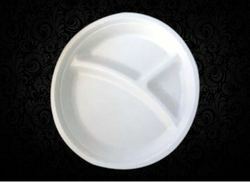 Makes a great foam plate replacement. 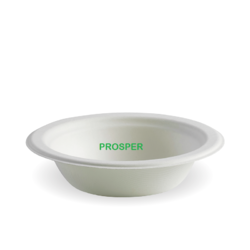 Made from bagasse, a by-product of sugarcane processing, this product is both compostable and biodegradable, which allows you to decrease your carbon footprint. 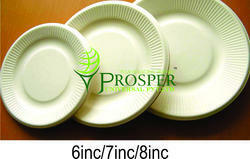 While other disposable products are burned when thrown away causing air pollution, this can be renewed and recycled. 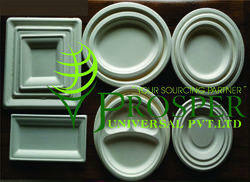 In addition, EcoChoice dinnerware is made with superior strength and won't break or crack under moderate pressure. 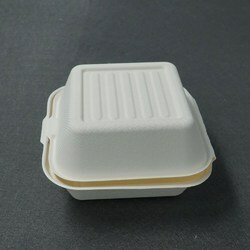 It can even handle the messiest of menu items thanks to its oil proof design. 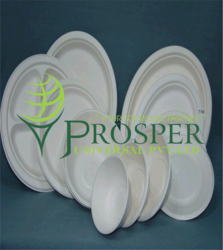 The Round Plate 12” / 4CP wonderfully designed plate is made using excellent quality fibrous material from tree-free natural renewable resource like sugarcane bagasse. 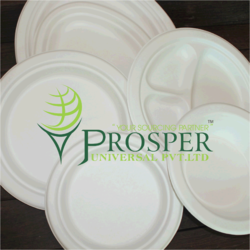 Strong &Sturdy in design, produced as per international Standards of food industry, under strict quality control of qualified & Skilled professional, this disposable Round Plate 12”/ 4 CP is food safe & Eco-friendly. 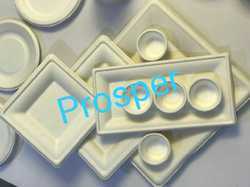 Four compartments of this plate to serve complete meal or multiple food selectionswith Strong & Sturdy to hold in large Social gathering make it a perfect and preferential choice of the people. Everyone wants to feel like they're doing their bit for the environment. 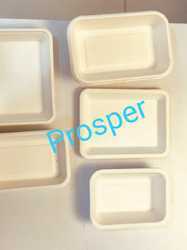 We recycle our rubbish, use the car less and reuse our plastic bags at the supermarket. 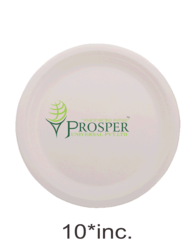 Now you can swap your plastic coated paper plates at your next BBQ, buffet or outdoor event for the Biodegradable Sugarcane Disposable Plates. 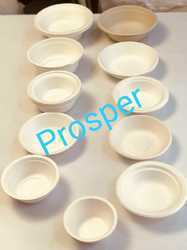 Made from sugarcane fibre, they are 100% biodegradable and from a fully renewable source material. 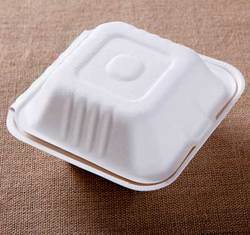 Sturdy enough for your guests to enjoy a plateful of food, you can save a black bin bag and stick these straight on the compost heap at the end of the evening. 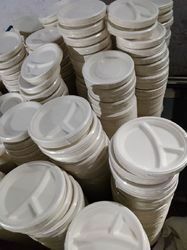 If you're looking for the convenience of disposable products without the environmental impact of plastic or foam, look no further than this EcoChoice portion cup! 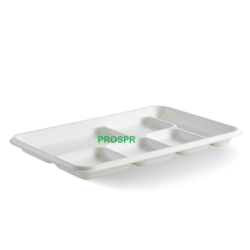 While its bright white coloring provides a crisp, clean appearance that'll impress your guests, its capacity allows you to expertly portion out liquids to minimize waste and reduce replacement costs. 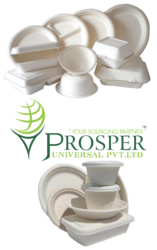 Looking for Biodegradable Sugarcane Bagasse Product ?